FAT DROPLETS IDENTIFIED IN BRAINS OF ALZHEIMER’S PATIENTS FOR THE FIRST TIME. Over 47.5 million people worldwide have Alzheimer’s disease or some other type of dementia, according to the World Health Organisation. Despite decades of research, the only medications currently available treat the symptoms alone. Now, for the first time since the disease was described 109 years ago, researchers at the University of Montreal have discovered accumulations of fat droplets in the brain of patients who died from the disease and have identified the nature of the fat. The team states that their new study opens up a new avenue in the search for a medication to cure or slow the progression of Alzheimer’s disease. The opensource study is published in the journal Cell Stem Cell. The researchers note that the study highlights what might prove to be a missing link in the field. Previous studies initially tried to understand why the brain’s stem cells, which normally help repair brain damage, are unresponsive in Alzheimer’s disease. The lab state they found fat droplets near the stem cells, on the inner surface of the brain in mice predisposed to develop the disease. The group realised that Dr. Alois Alzheimer himself had noted the presence of lipid accumulations in patients’ brains after their death when he first described the disease in 1906. However, the lab state that this observation was dismissed and largely forgotten due to the complexity of lipid biochemistry. The current study found fatty acid deposits in the brain of patients who died from the disease and in mice that were genetically modified to develop Alzheimer’s disease. The data findings suggest that these abnormal fat deposits could be a trigger for the disease. The researchers examined the brains of nine patients who died from Alzheimer’s disease and found significantly more fat droplets compared with five healthy brains. The team then used an advanced mass spectrometry technique to identify these fat deposits as triglycerides enriched with specific fatty acids, which can also be found in animal fats and vegetable oils. The results showed that these fatty acids are produced by the brain and build up slowly with normal aging. However, the team explain that the process is accelerated significantly in the presence of genes that predispose to Alzheimer’s disease. In mice predisposed to the disease, data findings show that these fatty acids accumulate very early on, at two months of age, which corresponds to the early twenties in humans. Therefore, the lab hypothesise that the build-up of fatty acids is a cause or accelerator as opposed to a consequence of the disease. The group note that there are pharmacological inhibitors of the enzyme that produces these fatty acids. The go on to add that these molecules, which are currently being tested for metabolic diseases such as obesity, may be effective in treating Alzheimer’s disease. 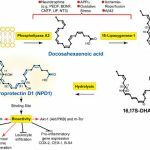 In the current study the team prevented these fatty acids from building up in the brains of mice predisposed to the disease. The lab conclude that the impact of this treatment on all the aspects of the disease is not yet known, however, it did significantly increased stem cell activity. The researchers stress that this is very promising because stem cells play an important role in learning, memory and regeneration. 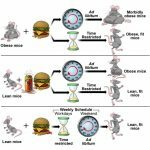 The group surmise that their discovery lends support to the argument that Alzheimer’s disease is a metabolic brain disease, rather like obesity or diabetes are peripheral metabolic diseases. For the future the lab is continuing their experiments to verify whether this new approach can prevent or delay the problems with memory, learning and depression associated with the disease. The complexity of identifying and localizing individual brain lipid species represents a major obstacle to deciphering the roles of specific lipids under normal and pathological conditions. Under normal conditions, SVZ neural precursors depend on fatty acid oxidation for proliferation (Stoll et al., 2015), while baseline and exercise-induced hippocampal neurogenesis and cognitive enhancement require brain fatty acid synthesis (Chorna et al., 2013; Knobloch et al., 2013). However, alterations in lipid metabolism are associated with many cognitive disorders, including Huntington’s, Parkinson’s, and Niemann-Pick’s diseases, as well as AD (Adibhatla and Hatcher, 2008; de la Monte and Tong, 2014; Guschina et al., 2011; Martinez-Vicente et al., 2010; Merlo et al., 2010; Sharon et al., 2003). Using imaging techniques, we identified 12 triglycerides that are associated with lipid droplet accumulations in AD, that are enriched with OA side chains, and that selectively accumulate in ependymal cells of the SVZ niche. This accumulation occurred in the absence of changes in circulating triglycerides or fatty acids in either plasma or CSF. However, it was associated with extensive changes in local lipid metabolism gene expression within the SVZ, including in the OA-producing enzyme SCD, which is prominently expressed in peri-ventricular cells (Polo-Herna´ ndez et al., 2010; Polo-Herna´ ndez et al., 2014). Local OA elevation was sufficient to recapitulate the AD-associated triglyceride profile and selectively suppress NSC expansion in vitro and in vivo. Mechanistically, OA hyper-stimulated the critical AKT-signaling pathway involved in long-term NSC preservation. NSC proliferation impairments could be rescued (1) by inhibiting AKT hyperactivation (with kinase-dead AKT) in OA-treated WT mice or (2) by suppressing endogenous OA synthesis (with an SCD inhibitor) in 3xTg-AD mice. 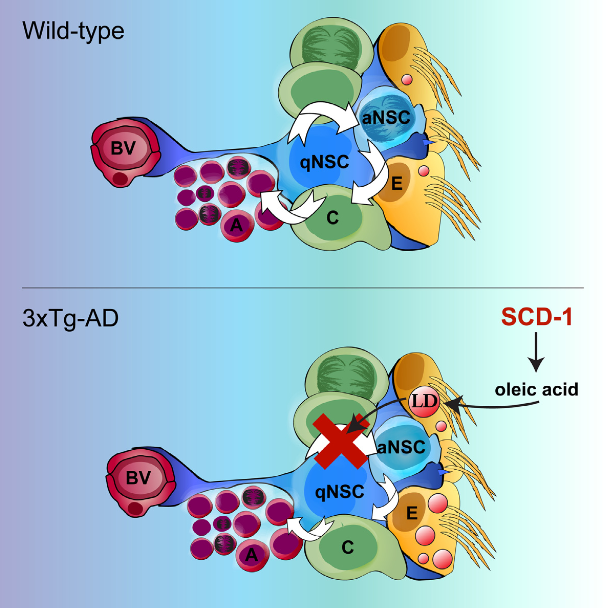 Thus, like many other niche signals, specific fatty acids produced within the NSC niche can influence NSC maintenance via regulation of NSC activation, quiescence, or both.